Running for U.S. Congress in Minnesota's 3rd district in the western metro of the Twin Cities is Democratic candidate Ashwin Madia. 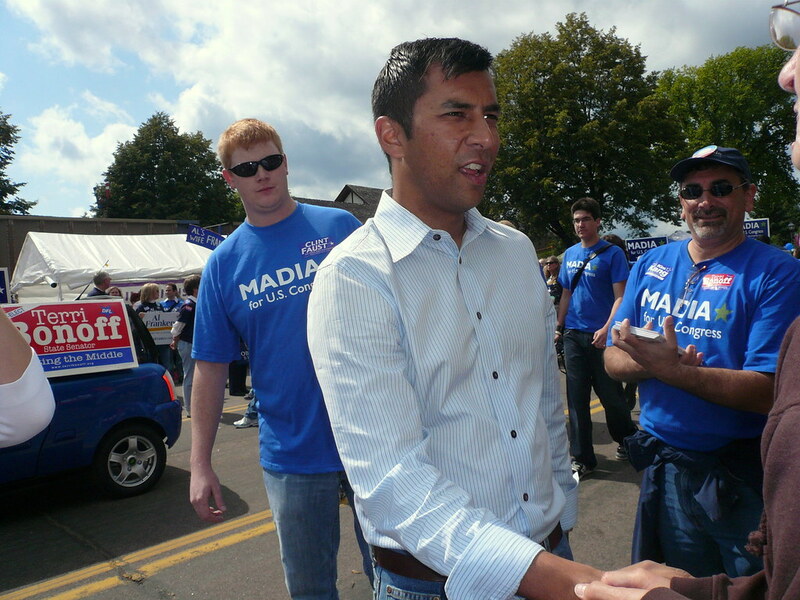 Former U.S. Marine Madia is pictured here at a parade in Wayzata mingling with the crowd and shaking hands. He is in a heated race for that seat with Republican Erik Paulson.